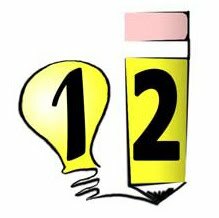 12Writing is a privately-owned, for-profit organization. We receive compensation and other revenues from outside sponsors. Our opinions are, however, our own, and we strive to be unbiased in our reviews. If you are dissatisfied with any product or website which has been recommended by 12Writing, please send a message to let us know. Be sure to include the URL of our recommendation page and the reasons why you did not find the product helpful. We will either add your feedback to our review or remove the recommendation entirely.